Today I had a good lunch. I was recently diagnosed as being anemic and need to add a little more iron based foods to my diet. I am not a big fan of asparagus but everyone insisted I needed to give it a try. 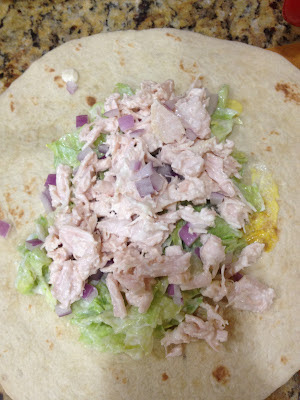 Yesterday while I was in the grocery I saw some and decided I will try this for lunch. I have never cooked this before. In fact if I say I had 4 sprigs of this vege ever I would probably be exaggerating. So this mission was a big one. I knew this would be a meal for one. Lol. I was to be the only guinea pig in this experiment. 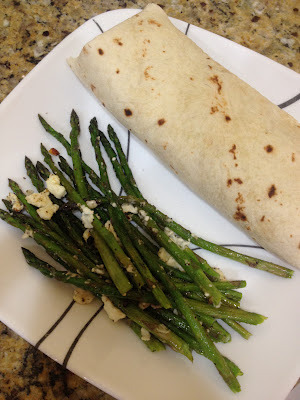 I took about a handful of asparagus cause I really didn't want this trial and error to be a big error if it did go that way. With that in mind know that I eyeballed this process. 3. Line a flat tray with foil for easy clean up. 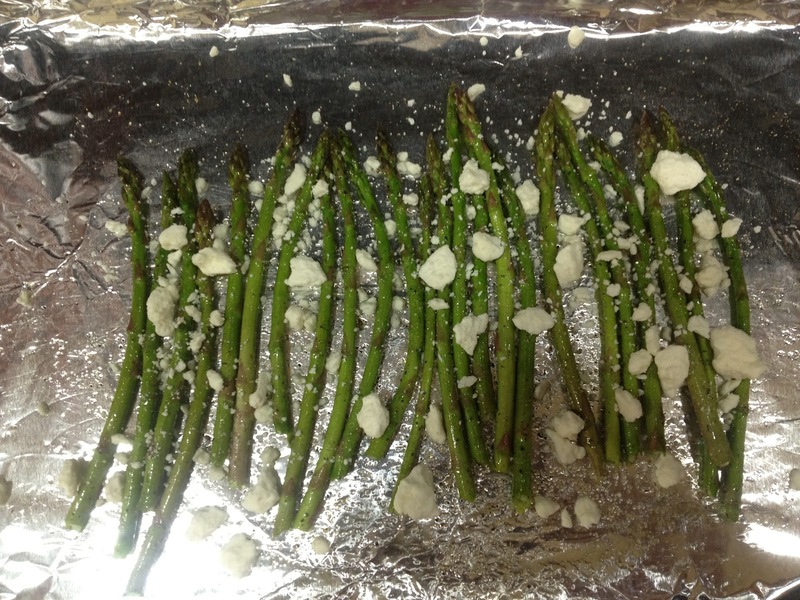 Pour the olive oil on the foil and then place sprigs and mix them up in the oil making sure they are all evenly coated. 5. Sprinkle with Black pepper, salt, garlic powder, onion powder and feta cheese. All to levels of your liking. You can also add red pepper flakes. I didn't have any. 6. Place in oven and bake for 12 mins. You can bake longer if you want a softer asparagus, but not too long. It I wanted some crunch. Then I decided to make a wrap cause I was hungrrryyy!! So this was my lunch and I LOVED the asparagus. The feta cheese gave it a really nice kick. I will surely be having this as a side with a lot of my meals. And Ill try adding a few other different things for taste. Give it a try and tell me how it came out for you! !